After a full week of vacation, indulging in lots of nothing each day, I decided it was time to have a full day of enjoyment in this incredible city. 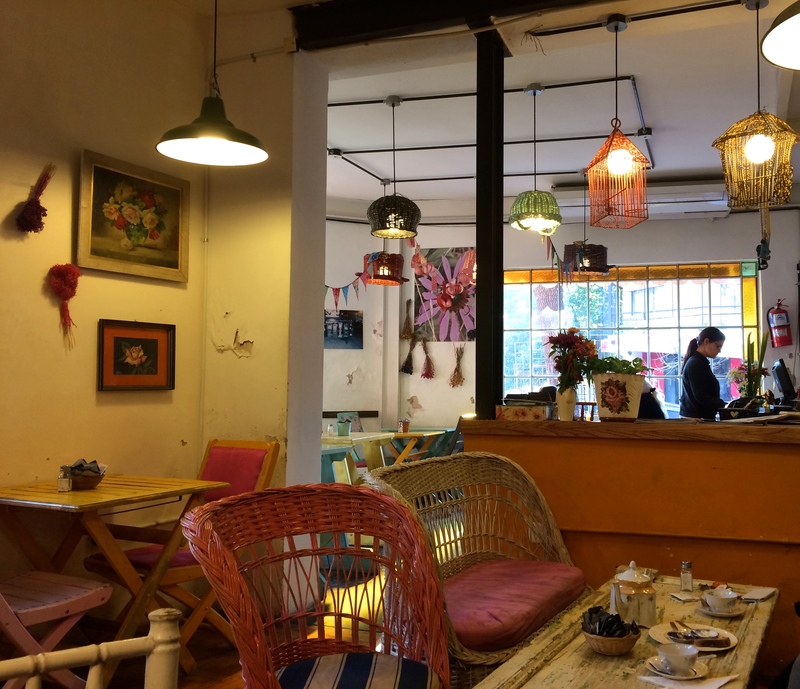 Thanks to a blog post I stumbled upon recently, about the top 10 cafés en Palermo I started my morning at Bartola, a café situated on one of Palermo’s beautiful european esquinas. The café was full of color to warm the brisk winter morning. Complete contentment. Then to continue my day I took a mid-day yoga class at a lovely studio in Recoleta. I bought a two week pass with Buena Onda Yoga, and I would highly recommend to do the same if you find yourself in the city for a couple weeks. Buena Onda has wonderful teachers, great studio locations and lots of friendly american expats to chat with. Then I was off to tour the infamous Recoleta Cemetery with one of the girls I am staying with. We walked around the beautiful casitas until it was time to make our way over to the closet Freddo for some of this town’s incredible gelato. The fruit flavors are made with no cream so all you vegans like me can still indulge! Finally to finish the night, I met up with friends at one of my favorite Mexican restaurants in Palermo, Xalapa 4800 El Salvador. We were the last people to leave the restaurant, catching up over margaritas and nachos con salsa. A perfect evening to end a wonderful day. Gracias Buenos Aires. Estoy muy agradecida por todo lo que me ofrece.